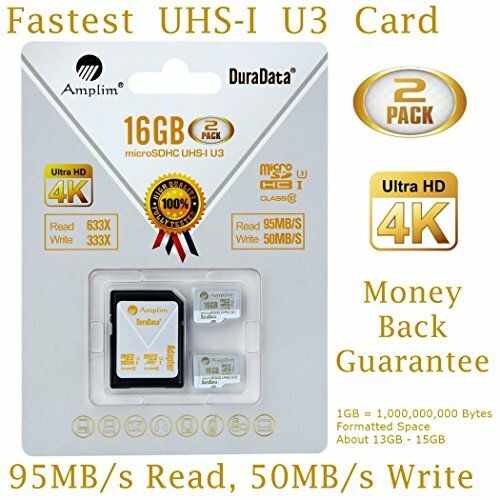 ULTRA FAST UHS-1 CLASS10 U3 - Up to 633X (95MB/s) turbo card. 2017 New Phone/Tablet Compatibility: Samsung Galaxy J2 Tab A Note 8 S8 Plus S8+ Active J7 V Max J3 Emerge J5 Prime Z4 Amp Prime Express 2 Xcover 4 Book Tab S3 C7 C9 Pro A7 A5 A3; LG V30 X charge Q8 Q6 G6 G6+ X venture Stylo 3 Plus Harmony K20 V Fortune Phoenix 3; Huawei Honor 9 7X 6C 8 Pro View 10 V10 Mate 10 Lite Y6 Pro P8 P9 Lite P10 Plus mini nova 2 Plus6A nova 2 Y7 Prime; Asus ZenFone V Live4 Selfie Pro 3S 10 LTE Max Live AR 3 Zoom; T-Mobile Revvl Plus; OPPO F5 R11 F3 Plus; Xiaomi Redmi Y1 Lite Mi A1 Max 2 5 Plus Note 4X; HTC U11 life Desire 555 U Ultra Play; Nokia 2 8 3 5 6; ZTE Blade X Force Vantage Z Max XL 3 V8 Mini Lite Pro; Alcatel IDOL 5 LED A7 A30 Tablet Fierce U5 HD Idol 5S A30 Plus A50; Motorola Moto X4 G5S Plus G5S Z2 Force Edition E4 Plus Z2 Play G5 Plus; Sony Xperia XZ Premium XA1 Plus Ultra XZ1 Compact L1 XZS; BLU Life One X2 Mini R1 Plus Tank Xtreme Dash L3 Vivo XL2; Razer Phone; nubia N2 N1 Lite; BlackBerry KEYone; ARCHOS 50 55 Graphite; FiGO Gravity; Amazon Fire HD, Microsoft Surface Pro 3 4. Value microSDHC phones include LG Exalt LTE Aristo K3 Fortune; Elipsis 10; ZTE Avid TRIO Overture Tempo X Prestige 2; Alcatel TRU FIERCE 4 ONETOUCH IDOL. Water proof, temperature proof, shock proof, X-ray proof, magnet proof. CAMERAS AND DRONES: Fujifilm Fuji X100F X-E3 X-T20 X-T2 X-E2S X-A3 X-A10 X100F X100T; Pentax K-1645Z KP K-70; Leica TL2 M10; Samsung Gear 360 Kodak PIXPRO Friendly Zoom FZ43; Nikon KeyMission 360; DJI Phantom 4 Pro Advanced Pro Mavic Pro Spark; Yuneec Typhoon H RealSense Breeze 4K; Autel Robotics X-Star Premium; GoPro Karma; Parrot Bebop 2; Hover Camera Passport; Nintendo Switch. New solid state microsdxc card has around 13GB-15GB (gig) of formatted free space.